• MasterPal patented technology handles full layers of product up to 500 lbs. 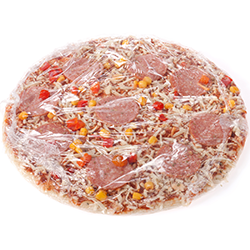 Packagers who need to palletize or depalletize trays, large loads, bulk items and bundles have historically made quality or speed compromises due to limitations of vacuum pick and roller technology. 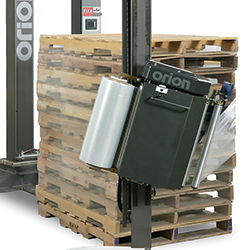 That’s no longer necessary with Currie by Brenton’s patented MasterPal technology which palletizes or depalletizes full layers at time, up to 500 lbs., at speeds up to five layers a minute. The MasterPal’s slatted apron completely supports an entire layer of product from the bottom. 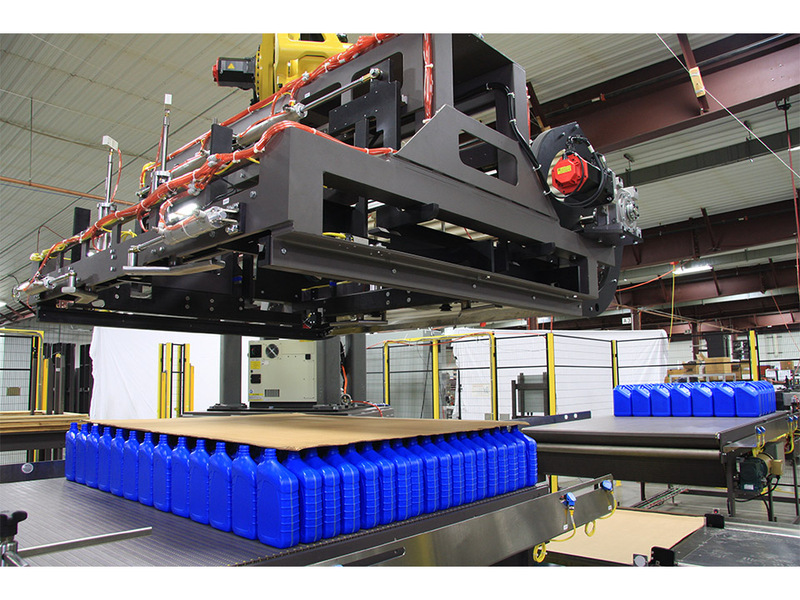 It eliminates product handling limitations created by rollers or vacuum pick and place, which leave trays behind or fail to handle certain bulk items. With MasterPal, shape or type of product doesn’t matter; if it can be conveyed, it can be stacked. 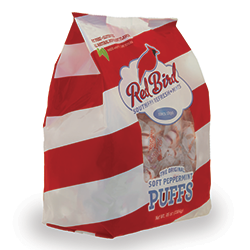 Even soft or gentle-requirement products are efficiently and consistently handled. Currie by Brenton distributes the MasterPal throughout North and South America. Currie by Brenton offers a demonstration center for customer testing in its state-of-the-art Alexandria, Minnesota facility. MasterPal tool then lowers over the formed layer on the pick table to capture the product. The internal tool clamping energizes to stabilize the product within the formed layer. Robot moves to slide the product off the table end while the floor of the MasterPal™ tool moves simultaneously replacing the table with the floor of the tool until the layer is completely captured within the tool. Robot moves to the pallet load position and lowers next layer level. MasterPal tool slatted apron retracts to place formed layer atop the waiting pallet/lower layer. Then the clamping system retracts and the robot raises the tool above the pallet. Contact us for full version of the video and brochure! Completely supports an entire layer of product from the bottom. 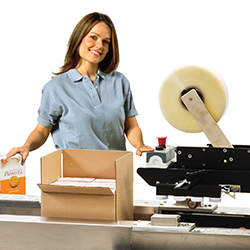 Eliminates product handling limitations created by rollers or vacuum pick and place, which leave trays behind or fail to handle certain bulk items. Can accommodate most shapes and types of product; if it can be conveyed, it can be stacked. Even soft or gentle-requirement products are efficiently and consistently handled.